A design element in and of itself, natural light changes the look and feel of any room. Window blinds are a stylish window treatment option that brings light into your rooms when you want it, and blocks it when you don’t. 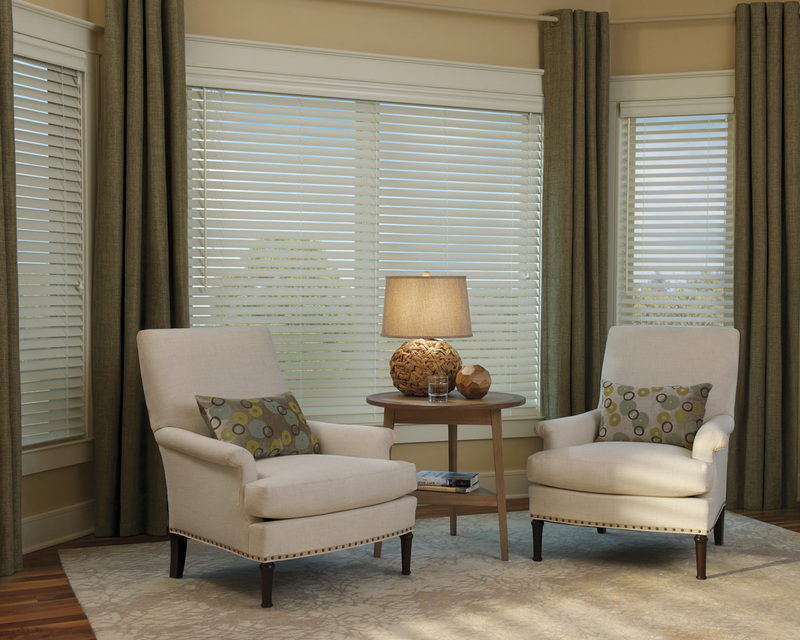 At Windows, Walls & More, we proudly carry a full range of Hunter Douglas window blinds. Nothing beats the beauty of real wood blinds. With the look, feel, and quality of real wood, these blinds are as stylish as they are functional. 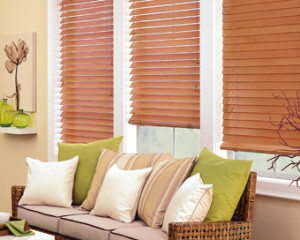 Available in a wide variety of colors and stains, wood blinds will complement any décor. With solid construction using string ladders, wood blinds are easy to operate and can be motorized for added safety and convenience. Alternative wood blinds are an excellent alternative to real wood blinds. Long-lasting and affordable, faux wood blinds give you the best of both worlds. Faux wood blinds are typically made of PVC, PVC composite or wood and vinyl combination, built to withstand conditions such as high humidity and direct sunlight. 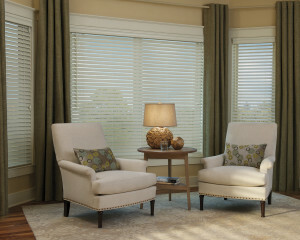 Even under the harshest conditions, faux wood blinds will not crack, chip, or warp. 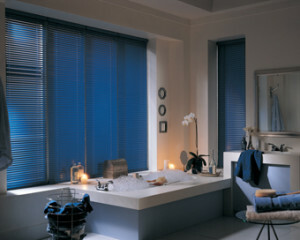 Today’s high quality aluminum blinds are made of strong yet sleek aluminum slats. Offering maximum light control and a clean, uncluttered look, our innovative aluminum blinds are as beautiful as they are functional. Enjoy special finishes and textures, from metallic to pearlescent to matte, and a range of attractive hues. Choose from different slat sizes and a wide variety of colors to look great in any room.